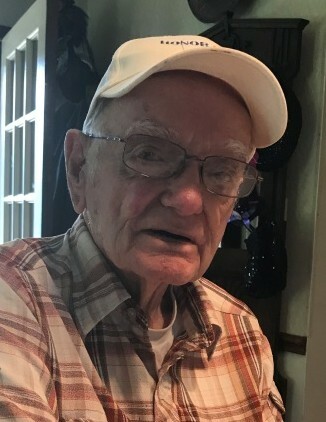 Don Kromer, 94, passed away April 6, 2019. He was born September 12, 1924 and lived in Akron all his life. Don was a WWII Vet, serving in the US Army Air Force from June 16, 1943 to September 6, 1945 in the South Pacific with 40 missions with the 307th Bomb Group. Don retired from Bellow’s Sign as an electrician, but his true love was going to flea markets and auctions. Without regret, Don got to enjoy a lot of years telling stories, sharing experiences, having laughs and making memories that will last well beyond his years. ‘Pip’ was dearly loved and will be greatly missed by those who got to share in his life. A gathering of family and friends will be held from 12:30 until 1 P.M. on Wednesday, April 10, 2019 at Schermesser Funeral Home, 600 E. Turkeyfoot Lake Rd. (SR619), Akron, Ohio 44319. Interment will take place at Ohio Western Reserve National Cemetery following. To leave a special message online for the family, visit our website at www.schermesserfh.com.